C&G congratulates long-standing client, The Victoria & Albert Museum on ‘Museum of the Year 2016’ Award. C&G would like to congratulate The Victoria & Albert Museum on winning the Art Fund’s Museum of the Year award. This incredibly prestigious award comes with £100,000 prize money, the worlds largest museum prize and the largest single arts prize in the UK. The award was presented by the Duchess of Cambridge at a ceremony at the Natural History Museum. Judges said the London-based V&A had “indisputably become one of the best museums in the world”. Martin Roth, the V&A’s director, said he was “totally overwhelmed” at the win and that it was a compliment to the work of the museum’s staff. 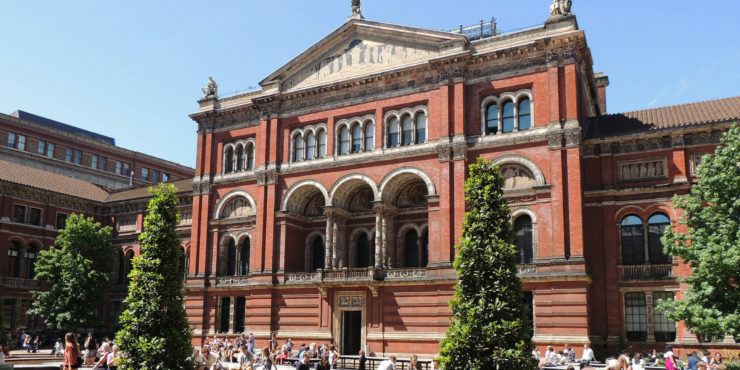 The V&A enjoyed a record-breaking 2015 for the Museum, drawing 3.9 million visitors. C&G has been working with the V&A staff since 2000, to deliver a range of bespoke training covering the disciplines which are crucial to manage and maintain the many thousands and varied exhibits. These include intricate hand and woodworking tools, welding and lifting equipment together with a range of general health & safety subjects all of which are delivered to BS EN ISO 9001:2008 standards. The C&G certificate covering ‘The Design and Provision of Training and Consultancy Services for Industry to National & International Standards.